The Men's Breakfast Group Invites You! The Men's Breakfast Group at Lord of Life is a place for fellowship for guys. We gather on the second Saturday of each month for a very serious breakfast. No kidding. Our guys do it all. Eggs, pancakes, sausage, coffee, juice, donuts and more! We know, that's enough to get you excited and wanting to come for breakfast, but wait, there's more! We also have some very real conversations about life, faith, family, struggles, joys and concerns. We work through the Bible tackling issues and then we finish by praying the Lord's Prayer together. We start at 8:30am so you have plenty of time to spend the rest of your Saturday doing important things like spending time with family or tackling chores. We hope you will join us. We'll save a seat for you and a cup of coffee. 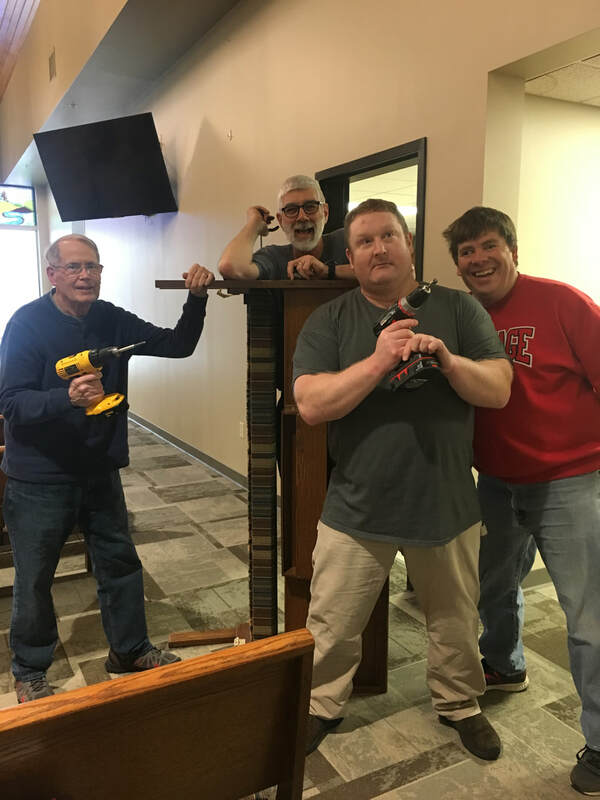 Our men's group is active both at church and in our community. If there's a project that needs doing, you can be these guys will be ready to tackle it. Recently they painted all the classrooms at church, fixed light fixtures and did some repair work on some wobbly chairs. Past projects include volunteering at EWALU, a Lutheran Camp in Strawberry Point, IA. You can't keep them down, they love to serve! We'll save a spot for you, don't be shy, we have tasks for all experience and age levels. How does God re-write your story? Join motivational speaker and author Tim Olson as he shares of the powerful movements of God in his life! This was recorded at the Bold Gathering in Fargo, ND in October 2018.